At Primavera we deliver the highest quality fruits and nuts available. For more than 20 years we have been developing relationships with high quality growers of cherries, apples and walnuts. Our staff provides and leads seminars to help educate and update our growers on the newest and safest growing practices. We continuously push our growers to be the very best in the industry. Our packing facility focuses on harvest management, cooling the fruit immediately and maintaining cold chain control throughout the packing and shipping process. Our quality control team monitors all incoming fruit and nuts and test upon arrival to the packing facility and throughout the packing process. Our packing supervisors and production employees are trained on the latest food safety techniques our facility is independently inspected and audited to ensure the safety of our products. Primavera delivers the highest quality product to our buyers in the quantity and timeliness agreed on. At Primavera, freshness is a key to the quality of our products. 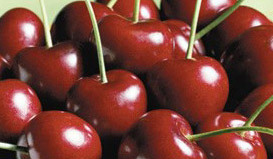 For example, our cherries are picked by hand, packed, cooled and loaded on a truck for delivery in less than 48 hours. Our cherries packed for export reach their destination in Asia, Australia or the United Kingdom in 60 hours or less from the time they were picked in the orchard. Primavera Marketing offers unique additional services to our clients. For example we have been on the cutting edge of a fumigation alternative program for the export of cherries to Japan. Japanese Systems Approach allows cherries to the exported to Japan without the use of a fumigant through the monitoring and documentation of Codling Moth traps in each registered orchard. In 2011, Primavera increased the amount of Japanese Systems Approach shipments by tenfold to over 20,000 boxes. Primavera is the most experienced shipper of non-fumigated California cherries.